Posted by Nicole Richards on Wednesday, October 29th, 2014 at 1:36pm. 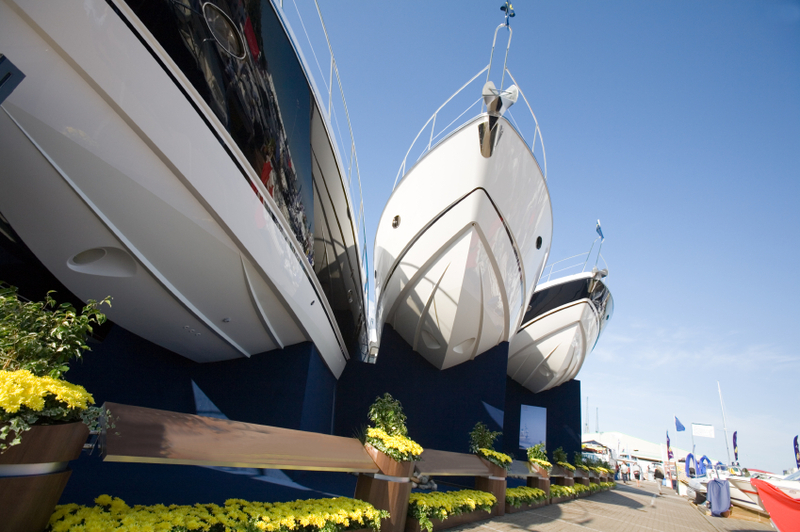 Fort Lauderdale, Florida, also known as the “Yachting Capital of the World” will be hosting the 55th Fort Lauderdale International Boat Show on October 30 – November 3, 2014. Go to Pier 66 Marina; it’s the Fort Lauderdale’s Boat Show newest location. It reopened with a total makeover and will be featuring the ample volume of brokerage yachts from super vessels to fishing boats and in between for all budgets. Yummy dining options are available such as the casual dining, Pelican Landing restaurants and upscale fine cuisine, Grill 66 & Bar. Or grab a bite at the full-service Pop-Up restaurant, Hugh’s Cage at the Hall of Fame Marina. Grab a cold one at the boat show’s new IGFA Sportfishing Lounge, located inside the Broward County Convention Center. "While you’re there, you can enjoy free fishing, boating, and diving discussions educated by the area’s best anglers and captains." For the Kids, “Hook the Future” kids’ fishing sessions, where kids get a free rod/reel combo and plenty of other prizes. Check out the extended “Blue Wild” area highlighting scuba and free diving, lobstering and safety assemblies, a huge assortment of marine art and the JYPSEA Swimwear Show. Glance at the Boat Show Film Festival, broadcasting Crew Unlimited's Yachtie Da Film Festival, Guy Harvey Ocean Conservancy flicks, and clips from this year's Fort Lauderdale International Film Festival. Check out live paddleboard, kayak, hovercraft and free dive examples at the AquaZone, obtainable by Nautical Ventures and new this year to the Sailfish Pavilion at the Convention Center location. Guests will learn directly from the professionals in a 25-foot-by-50-foot, 15,000 gallon pool. Observe the striking auto display, a private jet, personal submarines and the latest yacht and water toys. "Even if you’re not in the market for a new boat this year, the show offers amazing exhibits and fun for all." The Boat show has world-famous floating cocktail lounges. Find a seat, grab a cold drink and cool off in the shade. Have a bite to eat and refresh while enjoying live music and an even bubblier crowds. Shop the exciting displays and the latest gear, gifts, nautical clothing, marine electronics, accessories and more. Hop aboard a free riverboat ride to the show and $10 all-day Water Taxi transportation. The show’s seven locations are connected by a convenient transportation system offering several parking and transportation options to get show-goers to the Bahia Mar Fort Lauderdale Beach Hotel & Yachting Center, the Hall of Fame Marina, Las Olas Municipal Marina, Hilton Fort Lauderdale Marina, Sails Marina, Pier 66 Marina and the Greater Fort Lauderdale/Broward County Convention Center. Watch the spectacular fireworks display on opening night at the Bahia Mar Marina.